Sausage and Red Onion Chutney Rolls are so delicious! Easy to make, freezer friendly and great for snacks, lunchboxes and parties! 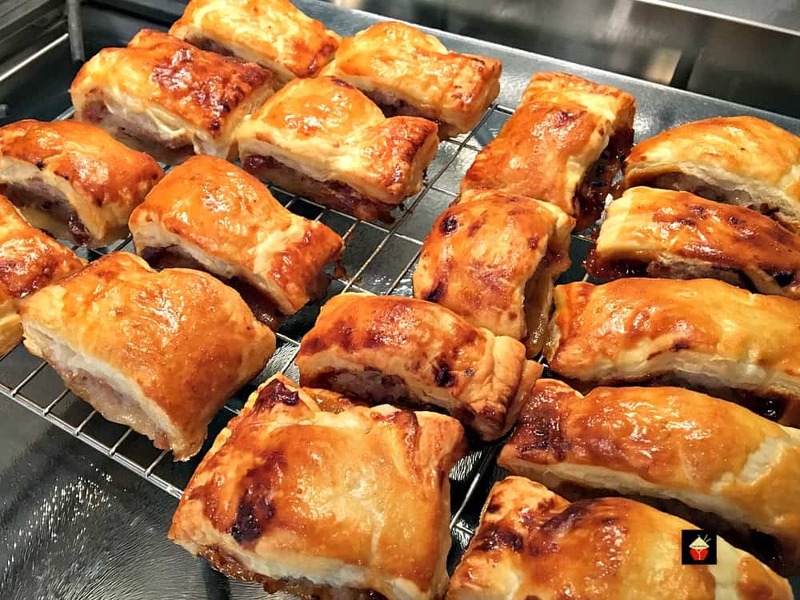 Who doesn’t love a sausage roll?! Today we have a wonderful easy recipe for you to enjoy and great tasting too! 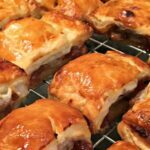 These Sausage and Red Onion Chutney Rolls are perfect for a snack, or to add to lunch boxes, brunch, party food and the great advantage is you can also make ahead and freeze before or after baking them. Of course you would already know that Lovefoodies always tries to make recipes flexible and kid friendly too, so for this recipe, you can also swap the Red Onion Chutney for another of your favorite chutneys, or try adding one of our own Lovefoodies recipes, such as our Spicy Caribbean Pineapple or Mango Chutney, or our festive Christmas Special Cranberry Chutney. Of course, you can also use store bought chutney, and I have to say, you can really get some wonderful flavor combinations in many delicatessan shops, so feel free to make this recipe however you like! 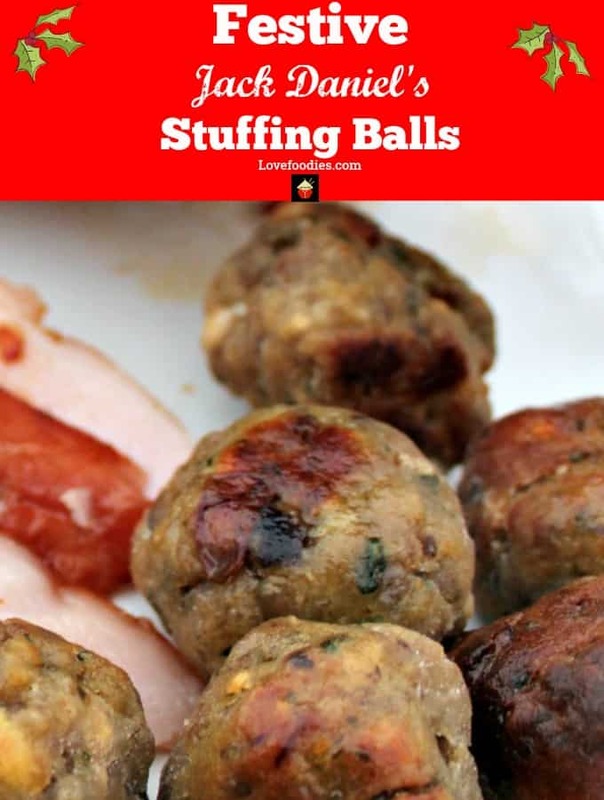 For the sausage meat, I’ve used a good quality pork sausage meat from the butchers, however, if you can’t get any, another option which works is to buy a pack of your favorite pork or indeed any meat, sausages and simply remove the sausage skin from them and the meat will still be perfect for this recipe. 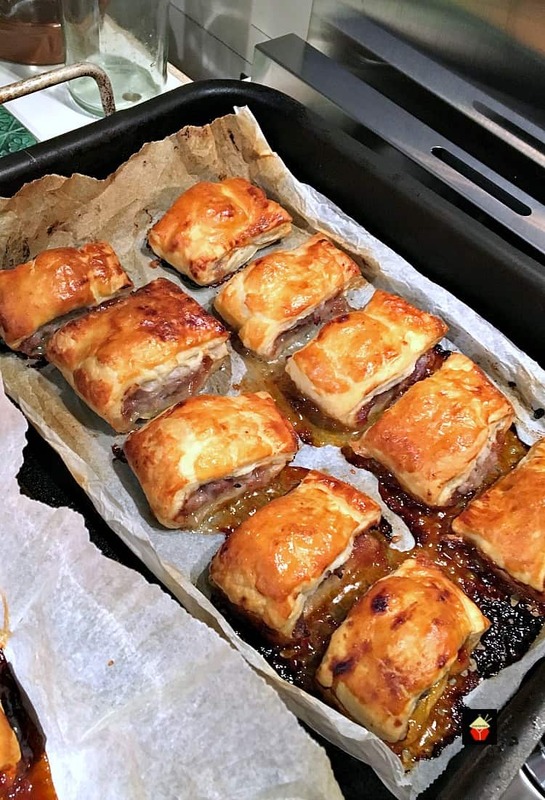 For these Sausage and Red Onion Chutney rolls, I haven’t added any seasonings, such as salt and pepper because the sausagemeat is already seasoned and the chutney also is like a seasoning on its own, so it isn’t necessary. If you’re making these for party food, you might want to cut them in to smaller, bite sized pieces, and for a lunch box or snack, perhaps you want bigger pieces. 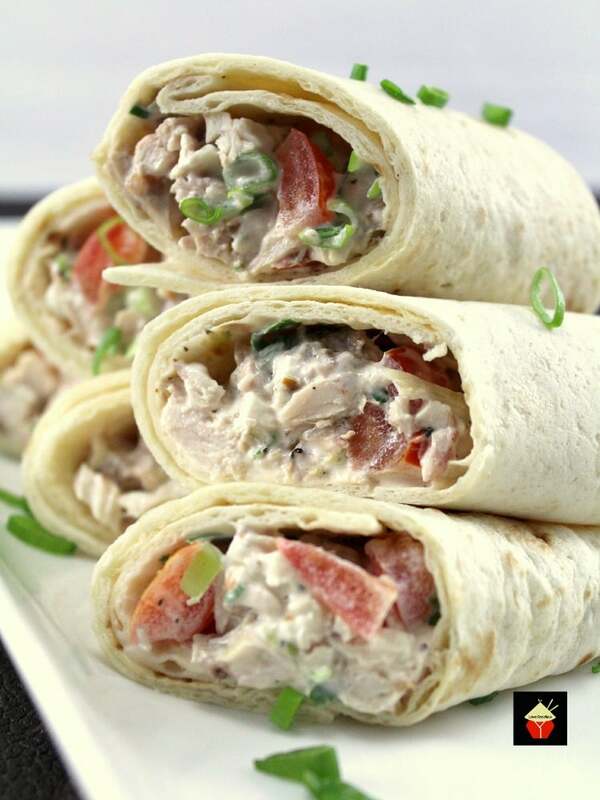 Whichever you decide, just be aware the cook time will be slightly less if you are making smaller rolls! So keep an eye on them baking and when they turn golden brown, they’re done! 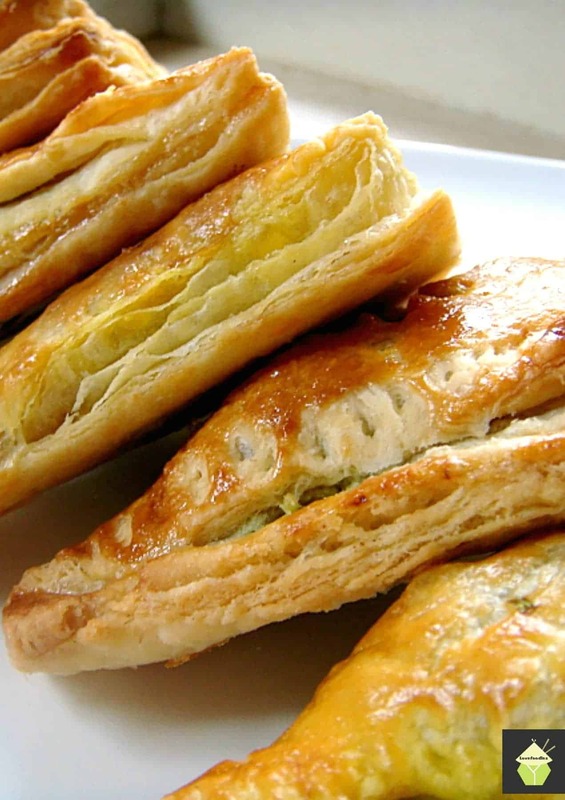 If you’re wanting to make these quickly and without any fuss, then we suggest you use ready rolled puff pastry sheets, however, you can also make these from scratch using our famous Quick and Easy Flaky Pastry recipe. The quantity in the recipe will be enough for these rolls so you don’t need to worry about amounts exacting! 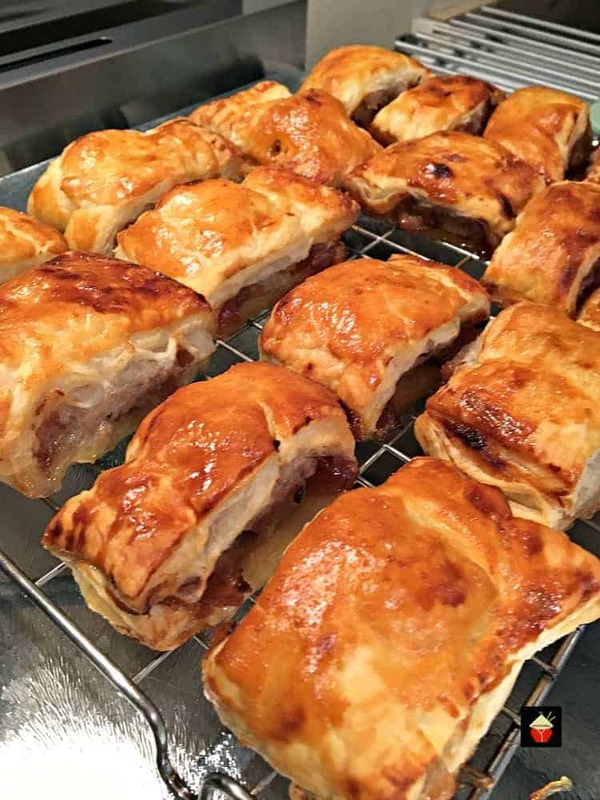 So please enjoy our Sausage and Red Onion Chutney Rolls and do let us know in the comments below if you added any of your favorite chutneys too! 2. Place the pastry on flat surface, so the sheet is in a horizontal position, (the longest side is horizontal). 3. Divide the sausage meat in to 2 halves. Roll one half of the sausage meat in to a sausage shape so it is the length of the pastry sheet and line it up along the length of the pastry sheet, about 2/3rds down. 4. Spread half of the red onion chutney along the top of the meat and spread evenly. 5. Take the top of the pastry sheet and fold it over to meet the bottom, then take a fork and press down all along the edge to seal the pastry. 6. Take a sharp knife and cut the roll in to 6 – 8 even pieces and transfer on to a parchment lined baking sheet. 7. Repeat for the second pastry sheet. 8. Brush beaten egg over the sausage rolls and bake for about 12-15 minutes until golden brown. 9. Transfer to a wire rack to cool. ** Be careful because the chutney will be extremely hot!! 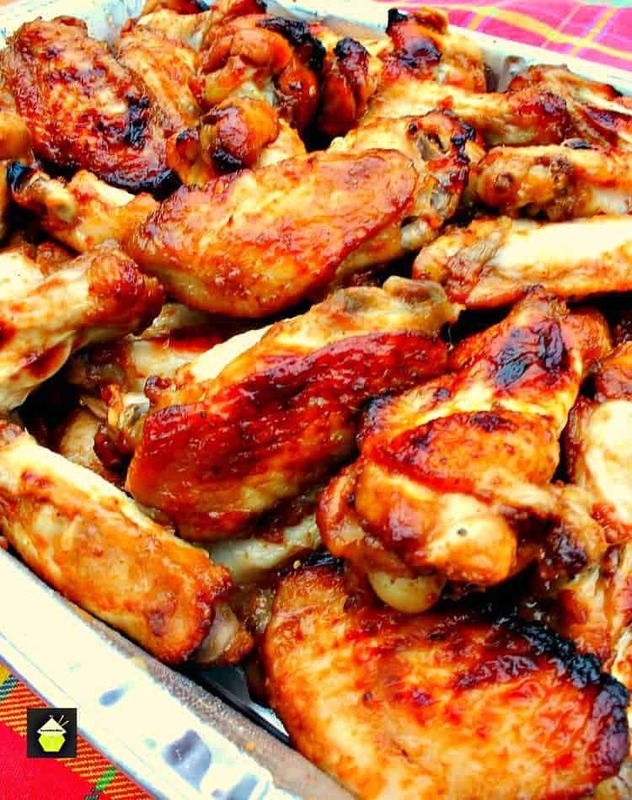 Here’s a few more easy and tasty recipes for you to enjoy! Place the pastry on flat surface, so the sheet is in a horizontal position, (the longest side is horizontal). Divide the sausage meat in to 2 halves. Roll one half of the sausage meat in to a sausage shape so it is the length of the pastry sheet and line it up along the length of the pastry sheet, about 2/3rds down. Spread half of the red onion chutney along the top of the meat and spread evenly. Take the top of the pastry sheet and fold it over to meet the bottom, then take a fork and press down all along the edge to seal the pastry. Take a sharp knife and cut the roll in to 6 - 8 even pieces and transfer on to a parchment lined baking sheet. Repeat for the second pastry sheet. Brush beaten egg over the sausage rolls and bake for about 12-15 minutes until golden brown. Transfer to a wire rack to cool. ** Be careful because the chutney will be extremely hot!! 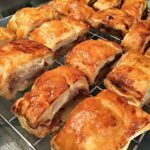 Is the sausage cooked prior to putting in puff pastry? Hi Christy, no, it’s raw sausage meat.